At Kia of Anderson, we're more than just your local full-service Kia dealership. We're more than a trusted resource for the best new and used Kia cars in Pendleton, the quickest deals on financing, and the best auto service. We're a family-owned establishment that's been around since 1977, building relationships for more than 40 years right here in town. We're your neighbors, your friends, and your peers. Our team works hard to create a dealership environment that's as professional and modern as it is stress-free and fun. Whether you're coming in from Greenville for a quick tune-up, or you're an out-of-towner making the drive to our town to take advantage of amazing deals, you'll find friendly faces and eager experts. Explore our website to see what we offer, and how we can help you better today. We know that shoppers love having choices, and the freedom to compare dozens of vehicles before making their final purchase. 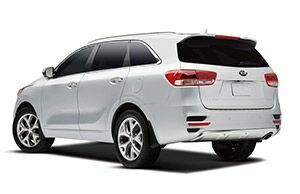 Our new Kia inventory near Anderson features all of today's best and most popular models, like the stylish and sporty Kia Optima, the affordable and fuel-efficient Kia Forte and Kia Rio, and the family-friendly Kia Sorento three-row SUV. We like to be transparent with our pricing--so you'll always find our latest incentives, deals, and specials listed right with the model, online and at your fingertips. Know exactly how much you'll be saving, without the fine print or smoke-and-mirror act. For our local shoppers who are keen to find a bargain, we're excited to be able to offer a great expanded selection of Certified Pre-Owned Kia models and used cars, trucks, and SUVs to fit all budgets and all needs. Want an affordable luxury car with all the trimmings? Or maybe an economical car for the kids. Or, maybe you're a recent grad who needs a first car. Our expert team can help you find exactly what you're looking for. More inventory means more deals--and interested shoppers can unlock our best deals just by shopping, comparing, and applying for financing, all online! "Bought my second car here and both times I was treated great." "Tricia met me right away, helped me find what I needed and made the whole transaction relaxing and Jennifer was great also in the financing area. I continue to come back to [Kia of Anderson] for their wonderful customer service and great vehicles." "Alex and all the staff worked hard to help up find the right car and to make sure we got the best deal possible. Very pleased." These are just a small sample of the great feedback we receive every week from satisfied customers from Clemson, Pendleton, and all over South Carolina. From the service bays to the financing offices, we're constantly pushing to offer that five-star experience that you want--and that you deserve--and every positive mark is just a reminder that we're doing something right. Read our dealer reviews on Cars.com, on Google+, and on DealerRater to see what people near you are saying about our SC Kia dealership. Or, just ask your friends and neighbors who have worked with us in the past! We can take care of all your automotive needs here at Kia of Anderson, just give us a call or stop right into the showroom today!